President Cyril Ramaphosa has said that the interpretation of section 25 of the Constitution which relates to land expropriation must be made explicitly clear to enable the speeding up of land reform processes. Giving the keynote address at the African Farmers' Association of South Africa's (Afasa) Agribusiness Transformation Conference Gala Dinner in Kempton Park on Monday evening, Ramaphosa said the amendment of section 25 would make it possible to use the section as a transformational instrument in land ownership. In 2017, the ruling party resolved to expropriate land without compensation, however, the section in the Constitution which deals with expropriation of land does not expressly state that land can be requisitioned in this manner. Ramaphosa said those who want to work the land must be given it expeditiously so that the healing of a festering wound of the past could commence. "We still have a festering wound in terms of how the land was taken from our people and that wound needs to be healed and the only way to heal that wound is to give land to the people. Doing so will ensure a fair and prosperous future for all of our people. "This whole process of expropriation without compensation is but one of the mechanisms that we are going to utilise to effect land reform. The other mechanisms are obviously programmes we have had in place for a long time and those programmes will continue as they are now. He said that restitution programmes and the redistribution of land would continue alongside the expropriation of land without compensation. "In the end, this will result in the security of tenure to all South Africans, not just to some South Africans." 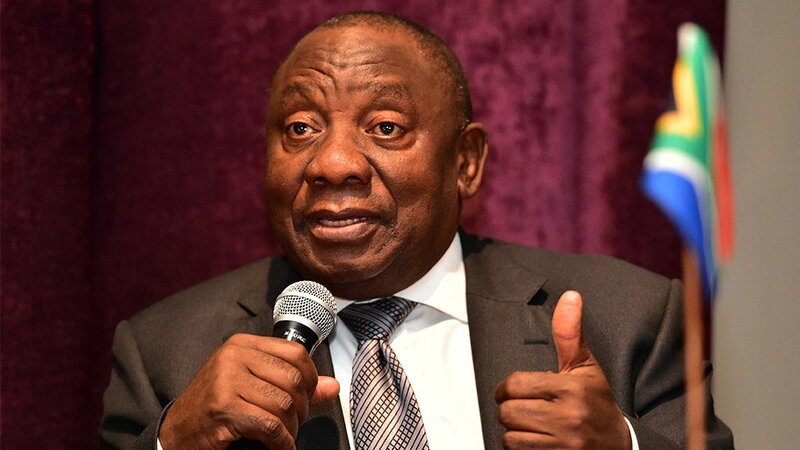 Ramaphosa also said government would ensure that land reform processes would not bring instability to the country but actually help in stabilising the country and the economy. The president said he was also aware of the difficulties, including bureaucracy in government, that farmers face. "I want us in government to remove all the obstacles that farmers [face]. "It means that we must expand the basket of agricultural support services available to both established and emerging farmers," Ramaphosa said. "We should ensure that government uses its procurement power to open up markets for emerging farmers. "Through accelerated land redistribution, and with the necessary support from the state, more and more black farmers will emerge, unlocking the economic potential both of land and of people." Ramaphosa said that the nation must work together to make land reform a success. "This is the time for South Africans to find each other, not fight each other. Black and white farmers must together, and working with government, build a better future not just in the agrarian economy but in society at large."